Professor Chakraborty has been closely associated with different academic Institutionsand is a Visiting Fellow of a number of Universities. He has guided and supervisedmore than 40 Ph.D scholars on different aspects of Folklore and has authored morethan 60 books on the subject of folklore. He is a regular contributor to differentjournals and periodicals. Professor Chakraborty is a Griffith prizeman and a SirAsutosh Mookerjee Gold Medalist from Calcutta University. He is at present Vice Chairman of Gurusaday Museum and president of Loukik. Dr. Ranjan Sengupta, a PhD in High energy Physics, was the Senior Research Scientist and Head, Scientific Research Department, ITC Sangeet Research Academy, Kolkata for 27 years. Thereafter he has been associated with the Neuro-Cognitive Physics Laboratory of Sir C V Raman Centre of Physics and Music, Jadavpur University, as a researcher. He is also acting as a PhD supervisor of various students in the same laboratory. He has published more than 150 papers in the area of High Energy Physics,Music Signal Processing, Speaker Recognition, Music Information Retrieval, Music Perception and Cognition and Music Acoustics. He is a recipient of Sir C V Raman Award from Acoustical Society of India. He is the joint editor of Ninaad (a scientific journal on Music) published by ITC Sangeet Research Academy. With a PhD in the Boro language, Dr Dipak Kumar Roy currently teaches at the Departmentof Bengali, University of North Bengal and is former Head of Department of KokrajharGovernment College in Kokrajhar, Assam. His area of studies is Folklore and Linguistics.A simple man, Dr Roy is well known and respected for his deep commitment to hiswork on folklore and languages of North Bengal and North East India. He has publishedseven books so far. Jayasri Banerjee is a professional sitar player as well as a musicologist, with interest in both classical and popular traditions of music. Her early research was on teaching methodologies of classical music in different institutional and non-institutional contexts. She has also worked on Adivasi music and musical instruments and undertaken extensive fieldwork, documentation and advocacy of endangered musical genres. 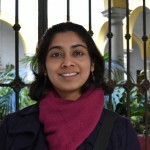 Aditi Deo holds a PhD in Ethnomusicology from Indiana University, Bloomington, USA,and has been a student of Khayal vocals for several years. Her dissertation focuseson non-hereditary and non traditional practices in Khayal music, looking particularlyat pedagogy in contemporary India. She has a keen interest in issues of music pedagogy,cultural institutions, the involvement of the private sector in public culture,media representations of music and musical cultures, among others. As part of herdissertation fieldwork, she conducted sustained ethnographic research at ITC SRAin 2007, examining its institutional adaptation of the traditional guru-shishyaparampara. During this period, she primarily observed talim and riyaz sessions,and conducted interviews with gurus, scholars, and staff at SRA, and concerned officialsin ITC. She conducted field research in India as a postdoctoral associate on the project:"Music, Digitization, Mediation: Towards Interdisciplinary Music Studies," withProf. Georgina Born at the University of Oxford, UK. Her interest is in the mannersin which digital and media technologies are being used by (and as a corollary, transforming)folk musicians and their practices, as well as archival approaches to folk music.She is currently a Visiting Fellow at IISER (Indian Institute of Science Educationand Research), Pune, Humanities and Social Sciences. Dr Barun De (30 October 1932 – 16 July 2013) , historian & former Chairman, West Bengal Heritage Commission was also on our advisory panel. The eloquent Barun De specialized in India’s social and economic history in the 17th and 18th centuries, the Bengal Renaissance and British constitutional history. De, who was born in October 30, 1932, into an illustrious Brahmo family, studied at Presidency College. After his graduation, he went to St. Catherine’s College, Oxford, to complete a second BA in history,and later obtained an MA from the University of Oxford. In the late 1950s, De was lecturer at Calcutta University. He completed his D.Phil in Indian history at Nuffield College, Oxford, in 1961. De held several prestigious academic positions since,and was a member of many organisations. He was a professor in history at the Indian Institute of Management, Calcutta; the director of the Centre for Studies in Social Sciences, Calcutta, which he had set up; honorary state editor for the West Bengal District Gazetteers and director of the Maulana Abul Kalam Azad Institute of Asian Studies, Calcutta, which too he had set up. He was also member of the Indian Council of Historical Research, New Delhi and chairman of the West Bengal Heritage Commission. Abhijit Gupta (1954-2014) was a designer-entrepreneur till 1991, after which he decided to research the indigenous architecture of Arunachal Pradesh and Assam on his own. This led him to study, research, collect and promote traditional art forms of West Bengal. He was also a managing committee member of Karu Angan – a museum of Crafts of West Bengal, which he helped design. He established himself as a full time visual artist with his solo show "Oblique Memoirs and Other Mind games" in 2001 at CIMA Gallery, Kolkata and followed it up with various international and national shows. He was also a practicing video artist and his work was showcased in Tel Aviv, Jerusalem, Washington and all over India. He was awarded the Senior Fellowship of the Department of Culture, Government of India in 1997 and received the UNESCO-Aschberg Fellowship in 2005 and was an artist-in-residence in Brazil. He was the Founder President of Khoj Kolkata Artists’ Initiative and was responsible for authoring many projects including “Designs on a Delta” which was showcased in Aedes Berlin as part of the Asia - Pacific week in 2011. He was also the inspiration behind Daricha Foundation and his effervescence, joie de vivre and support are sorely missed. In January 2017, Daricha Foundation lost its closest well wisher and guide, Dr Dibyajyoti Majumdar. The warm, gentle, erudite Dr Majumdar or Dibyo da, as we called him, was our beloved mentor. Our association began in 2011 when the Daricha web portal was but a concept. He practically walked us through our paces as we sought to find our way through the vast realm of West Bengal`s folk culture. Endless discussions and guidance from him helped us put things in perspective as we attempted to put our web portal together. All through our short journey together, he was always there for us, helping us to ideate or to help us with our research. Dibyajyoti Majumdar had worked with folklore for more than 50 years. He completed his masters from Calcutta University in 1962 in Bengali Language and Literature and went on to acquire his Ph.D from Rabindra Bharati University on Type and Motif Index of Bengali Folk Tales. Former editor of “Paschimbanga” (official journal of Govt. of West Bengal), he was visiting faculty with Calcutta University and later Kalyani University through the nineties. He wrote more than twenty research oriented books on the folklore of Bengal. In recognition of his huge contribution in the area of folklore, Rabindra Bharati University awarded him the Acharya Dinesh Chandra Sen Smarak Academy Award in 2007. His absence has created a huge void in our existence and he will be sorely missed. The late Amitava Bose (July 28, 1947 - January 13, 2017) was a Professor of Economics at Indian Institute of Management Calcutta till his retirement in July 2012 and had been a full-time Visiting Professor there since. He was also a Director of the institute from 1997 to 2002. Bose had worked mainly in theoretical economics, particularly in the areas of Macroeconomics, Economic Dynamics and Economic Growth. He received his B.A. degree in Economics (Honours) from Presidency College of the University of Calcutta, in 1967, and M.A degree in Economics with first rank from the Delhi School of Economics in 1969. He completed his Ph.D. programme from University of Rochester, NY, USA in 1974. Bose had also taught as Visiting Professor in numerous universities (JNU, University of Mumbai, etc.) and other well-known institutions of higher learning including the Indian Statistical Institute, Kolkata, and the Centre for Development Studies, Trivandrum. He had been on the Board of Governors of the Centre for Studies in Social Sciences Calcutta, since 2011. He had also served on the Board of Governors/ Governing Council/Court of several academic institutions such as Indian Statistical Institute, Jadavpur University, Xavier Institute of Management Bhubaneshwar, Tripura University, etc., and the Board of Directors of National Insurance Company, West Bengal Electronics Industry Development Corporation (WEBEL), etc. He was a valuable member of our Advisory Committee and will be greatly missed.